Quick crochet or knit gift patterns are a rarity. 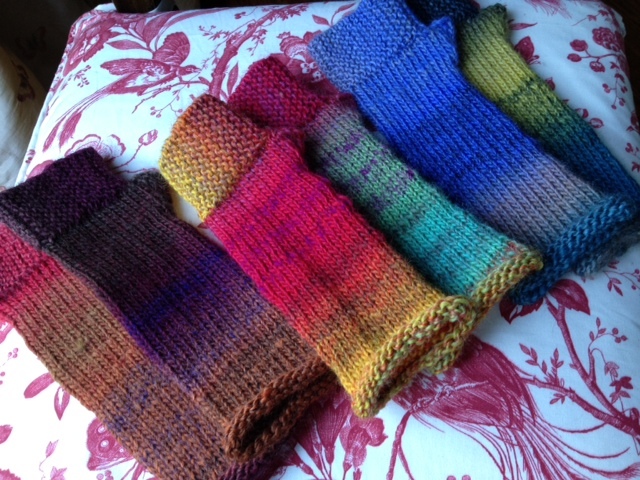 These knitted fingerless mitts were a big hit this holiday season. A free pattern, easy as can be, using only one skein of Plymouth Yarns "Gina" in an array of colors that coordinate with any outfit. Great for spring when you no longer need a full-on mitten, this wrist warmer free knitting pattern is a cinch!